Have all your publications gathered in one place - it’s easy to follow, read, and share. An Edition Digital Newsstand is created literally in minutes, with complete user management and unified access control over web and apps content (iOS and Android). It solves many of problems publishers have had with cross platform selling - with money directly to your PayPal account. 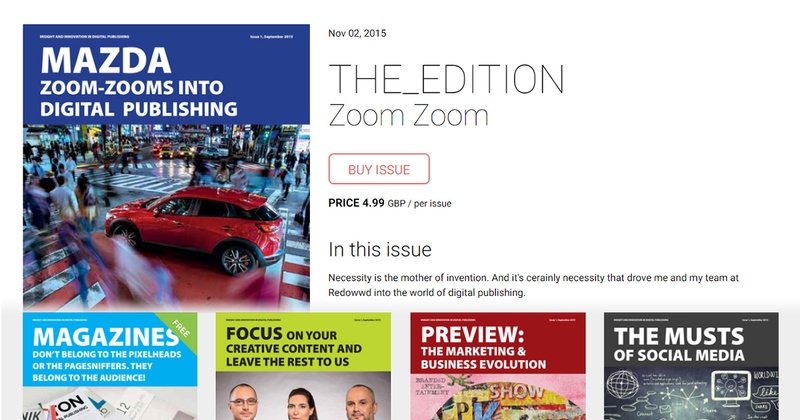 So selling single issues, subscriptions or having a restricted access to your publications is now just a click away. Get your own newsstand now! Aviation Theory Centre (ATC) was developed to provide the aviation industry the highest quality training manuals and reference media for pilots. Canada's best read outdoors magazine - get the latest hunting and fishing tips, gear, news and more from our experts. Digital Quarterly Editions, Special Editions and an Annual Print Edition. Zgodbe za vse generacije, ki jih ni nikjer drugje: o izjemnih posameznikih, navdihujočih dosežkih, osupljivih dogodkih. Strokovna revija za področje razvoja organizacij in vodenja ljudi pri delu.